Palo Duro Veterinary Services, PC in 1974 with emphasis on cattle feedlot and swine consultation. 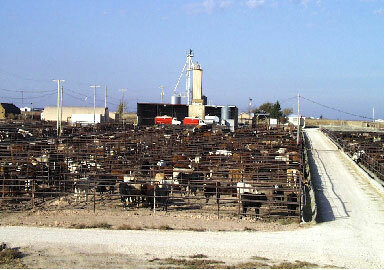 Palo Duro Consultation, Research and Feedlot, Inc in 1979 and incorporated research into consulting business. Agr Research Center, Inc in 1986 to present. Agri Research Center, Inc is a multipurpose, multispecies research facility using state-of-the-art equipment and computerized record systems. This modern, well-equipped, privately owned, independent research facility is located approximately 12 miles south of Amarillo, Texas. The facility has capabilities of providing statistically designed, controlled research and marketing product comparative research for pharmaceutical, biological, biotechnology and feed-additive companies. The center has been FDA inspected and maintains Good Laboratory Practices with Standard Operating Procedures for each study. Agri Research Center’s facilities include a 3500-head cattle feedlot, a seronegative reduced pathogen environment area, and a Grow Safe Electronic Feed Measuring System. The equine area includes housing for 20 horses plus utilizing the feedlot pens on larger studies. Individual weights can be obtained plus an individual chute area for evaluation and examination. 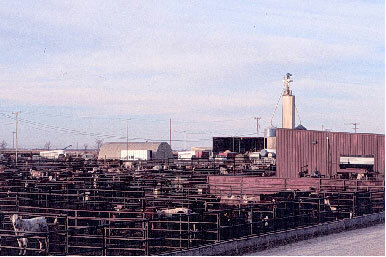 The center uses the latest equipment available for processing, weighing and monitoring cattle for any type of research project. Using a combination of computer systems, information at Agri Research Center is compiled, not only on the pen basis, but also on each animal. Production data is collected showing average daily gain, average feed consumption, feed conversion and cost of gain. Morbidity data is compiled as well as mortality, including diagnosis from necropsies and diagnostic laboratory information. The ACCU-TRAC® weighing system, located at the squeeze chute in the processing area is used for weighing all animals. The scales measure in one-pound increments. West Texas Beef Carcass Research System with Dr. Ty Lawrence provides the carcass measurements. The GrowSafe® Feed Intake Nodes, utilize the radio-frequency identification (RFID tags) measure the duration and intake for every individual feeding event. A combination of scales and computers at Agri Research Center, Inc. allows the staff to have complete control of the feeding programs. To assure accurate weighing of feed and correct mixing of rations, the research facility uses three Oswalt Ensilmixers with sizes of 280, 320 and 420 cubic feet. All trucks are equipped with model omp 20 electronic scales, allowing accurate mixing for 80-pound to 10,000-pound batches of feed. A micro-ingredient machine is also used. Agri Research Center, Inc. also provides services in the area of FDA liaison, protocol development and field research. The center offers field research capabilities in partnership with Dr. David T. Bechtol allowing the research of Agri Research Center, Inc to be combined with the client base of Palo Duro Consultation, Research and Feedlot. Agri Research Center, Inc. has more than 38 years of continuous service to pharmaceutical, biological, biotechnology and feed ingredient companies. David T Bechtol, DVM , Palo Duro Consultation Research & Feedlot, and Agri Research Center, Inc have more than 50 years of continous service to the pharmaceutical, biological, biotechnology and feed ingredient companies. Agri Research Center, Inc. provides the finest research and development practices in the industry. 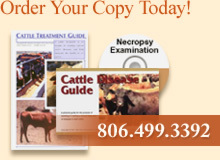 Copyright © 2010 Palo Duro Consultation Research and Feedlot. All rights reserved.